Multiple Sclerosis (MS) is different from many other chronic diseases. Its unpredictable nature makes it unique and frightening. 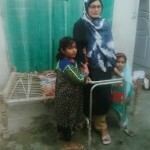 It is unjust to equate an MS patient living in the Northern part of the world to one living in Pakistan, or anywhere else in the sub-continent. This makes it even more important to understand the disease better and how it affects patients in Pakistan. Understanding Multiple Sclerosis is particularly true for people who have MS, as well as their friends and family members and those who live with and spend time with the patient. Patients also need to know what lifestyle changes to make in order to live a better life with MS in Pakistan. Pakistanis live in a different cultural and socio-economic environment. The legal system also does not recognize and support MS patients. 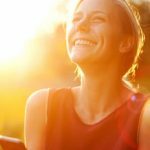 These social, financial and legal factors worsen the disease and make living with it very difficult. It is important to understand MS as well as the related problems and difficulties associated with it which are faced by MS patients in Pakistan. 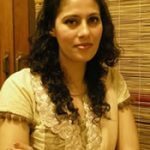 This article will brief you about some of these issues along with a few lifestyle changes to adopt when living with MS in Pakistan. MS patients in Pakistan face a number of challenges which are difficult to overcome. Here is a short review of some of the common challenges faced by MS patients in Pakistan. Summers are extremely hot in Pakistan, especially in cities like Karachi, and Lahore. Hot temperatures with increased humidity are a great challenge for MS patients and it makes them home-bound most of the time. Getting around in the hot weather is not easy at all. What to do? Maybe you can try to relocate to a colder region during summers. Read this article by one of our patients on how weather affects MS.
To add to the misery, frequent load shedding worsens the situation. People have to turn to arrangements such as getting a UPS, or a backup generator to survive through the scorching summers. They would also have to replace their Window AC with a Split AC to save on high electricity bills. Read my story on how I have spent half a million Pak Rupees to cope with heat intolerance. What to do? There is no other solution than to relocate to a cooler region during summers, like Murree. Otherwise, get a UPS and generator installed to keep your body temperature cool during summers. Weakness in the hands is a common problem among MS patients all around the world, but the situation causes further problems in Pakistan. A patient may feel weakness in the arm or hand he uses to write. Some patients with extreme weakness find holding a pen next to impossible. When I had an MS relapse 4 years ago, both my hands were affected. Watch this video to see how MS affected my handwriting. Mr. Ahsan is an MS patient and is graduating from a Pakistani university. He finds it hard to hold a pen and remember facts and figures. Brain fog is a common issue with MS. Do you think he can graduate with ease and then find a decent job? Continuing higher studies with a disabling disease like MS in a country like Pakistan is next to impossible where universities and colleges do not provide ample facilities for the disabled. To add to that, our society is quite intolerant to people generally, especially to those who are ill.
What to do? Talk about your problems with your family and hopefully they will understand that continuing your education may not be possible for you anymore. You may want to try to enroll in online courses which you can complete while sitting at home. Travelling via local transport becomes next to impossible. Bus-drivers are always in a hurry. If you ask them to stop, they’d slow down, but would seldom stop. Getting off a moving bus is next to impossible for MS Patients, and so is getting aboard a moving bus. What to do? If you can afford to have a car and driver with you at all times, that is good enough. Otherwise, try to use ride sharing services like Careem and Uber to move about. Many MS patients have to give up their job because they are not able to meet the increasing demands of a day job. Everything takes a toll on their health, and eventually they may have to quit. What to do? Try to find a desk job which you can do while sitting and which does not require a lot of commuting. If you have the expertise, maybe you can start working from home. Multiple Sclerosis (MS) is a ‘new’ disease in Pakistan. The general population has little idea of its nature. 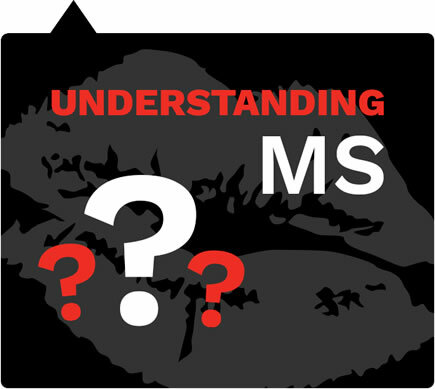 It is very difficult to define what MS is and how severe the disease is to others. What to do? Get information about MS before talking about it to anyone. You don’t want people to run away from you and you don’t want them to take you lightly either. The last thing you want to hear is FREE Advice from someone who has absolutely NO idea what you are going through. People in Pakistan are not willing to understand anything about your disease, but they will always be willing to give you free advice (muft ke mashwaray). Most people are unwilling to understand your disease and your attitude. They make strong opinion that you are making excuses and they are always willing to give you their sincere advices. What to do? You can’t do anything about such people! Just listen to their sincere advices; you may hear one or two you can actually follow. Fatigue is a common MS symptom. People believe that you rest for long, don’t do your work yourself, are always ready to give orders, and so on. Therefore, you are eligible to be called ‘lazy’. The comments which you hear when you ask for little things hurt you, increase stress, and have full potential to worsen your condition. What to do? 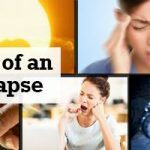 In order to deal with this problem, try to manage fatigue and manage stress. We have shared articles on both. A big problem with MS patients is the fact that their own family-members accuse them of making false excuses. A person who has never experienced the fatigue MS patients face daily can never have an idea how it actually feels like. MS Fatigue is real, so is the demotivation to work all the time. Patients want to move forward in their lives but the feeling that something weighing a quarter ton is over their shoulders doesn’t allow them. What to do? All you can do is ignore them! Take enough rest to manage MS related fatigue. This happens everywhere in the world with MS patients. But, what’s special here in Pakistan? Pakistani society has many beliefs and taboos. People at large, dislike an addict and rumors spread like forest fire in such cases. Several half smiles appear the moment they see you. What to do? The only solution we can give you is to try to control your balance.’ You can use physiotherapy or medicines or both. Male MS patients live difficult lives but female MS patients, who live in a combined family system, live even more difficult lives. They will have to hear continuous taunts if they don’t do stuff when expected and as expected. Continuing a married life may also become impossible for MS patients until their spouse and in-laws and understanding and cooperative. What to do? Living a fully active married family life with MS can be a HUGE challenge. Try to manage fatigue and stress. But remember; never compromise your health over anything! You have limited options now. You can’t do any job which requires travelling, including that of a medical representative. 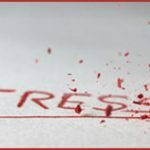 It’s also difficult for you to handle job-related stress. What to do? Talk to your boss and try to find a suitable way. Maybe you can be made to do a desk job. If you feel it’s better to stay at home and quit your job, then you have only one way to financially support your loved ones, and that is freelance online work! There is no disability allowance in Pakistan. Besides, the law does not accept you as disabled if you’re not wheel-chair bound. What to do? Try freelance work or any other online method of earning money. Some medicines are too expensive to buy for an average Pakistani patient. For example, Betaseron is a medicine used to decrease the number of MS relapses. It costs more than Rs. 69,000 per month! Average Pakistanis cannot afford such expensive medicine and treatment. What to do? Get the maximum support you can from your family. Your family should be eager to help out. Patients cannot do a lot on their own. They will always require support from their families. Patients with Multiple Sclerosis need legal recognition. There is lack of awareness about the disease. People need to know about the disease itself, the problems MS patients face and its treatment. If you have been facing issues with MS in Pakistan, let us know in the comments below and how you manage them.